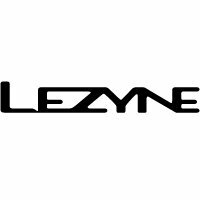 Lezyne bicycle lights really do get better every year. This year's brightest Lezyne front bicycle lamp pushes out 1,500 lumens (250 more than the 2016 Super Drive). Alternatively, if you want to enjoy 148 hours run time per charge, select its trippy Femto mode, which gradually fades between high and low beam approximately once every second. Despite its low drain on the battery, Lezyne's Femto mode is bright enough to ensure you're legal and can be seen after dark. What's more, if your batteries are running low, switch to Femto and the output is still bright enough to illuminate the path immediately ahead of your front wheel when riding, say, a cyclepath after dark. Its Lithium Ion battery is USB-rechargeable for convenience. The development of bicycle lights of this quality, which help us ride safer and with more self confidence after dark, is mostly a wonderful thing. Be aware that blinding fellow road/path/trail users makes nobody happier or safer, so please be a good cycling ambassador and dip or dim your high power lights whenever it's appropriate. Happily, just about every front lamp we currently sell can be literally dipped on the fly by lightly pushing the front down so the the beam is directed downwards. Super high-performance cycling light engineered for all types of night riding. Incredibly durable, heat-dissipating CNC machined aluminium construction. Three market-leading, ultrahigh-output LEDs delivering up to 1500 lumens. Optimized Constant Lumens system maintains steady lumen output throughout battery cycle. Optional Overdrive Race Mode toggles between Overdrive and Economy modes only.